Delicate flower, stressed out after a day terrorizing chipmunks. To the left is a picture of him in his natural non-yellow state. 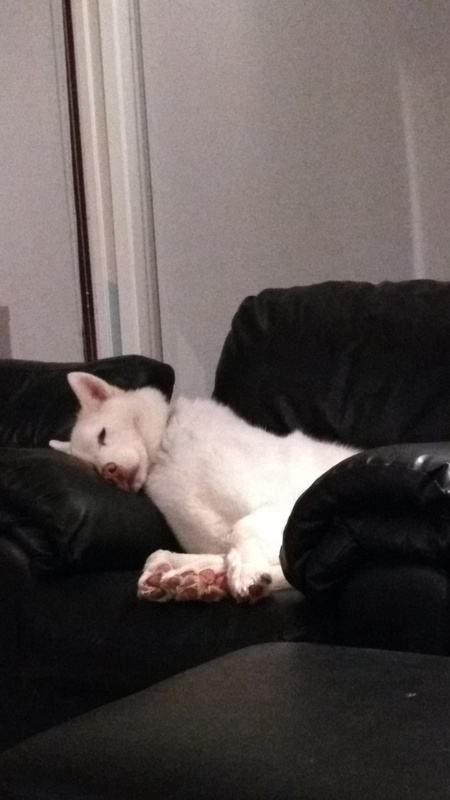 When we had the original Kiska, I baked dog cookies all the time. Rolled them out, cut them in cute dog bone shapes. I even made them for other people as gifts. Did I mention this was before I had human children? Mix everything together in one big bowl…. remember the liquid (water/broth) is supposed to be hot, but not so hot you burn yourself if you mix this with your hands, which I do. 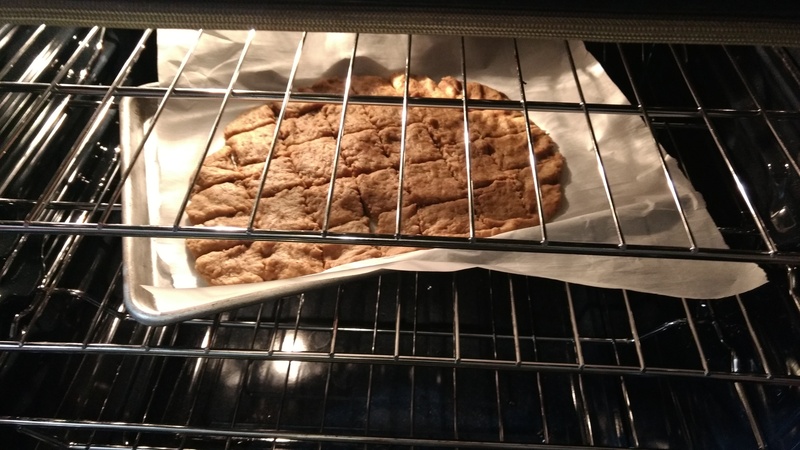 Now, for EASY, press the dough flat on the cookie sheet. Go for 1/4 thick. Once it is flat, cut it into squares and separate them out as much as you can. For CUTE, roll the dough to 1/4 inch thick and cut them into cute dog bone cookies or hydrants or whatever dog appropriate shape you like. 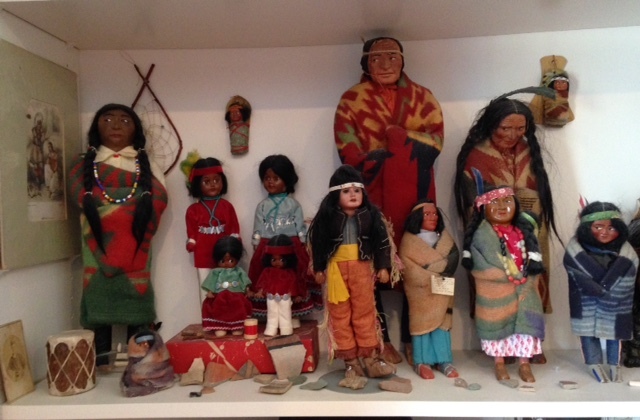 A collection of Native American dolls and items. Not all of the dolls pictured are Skookum dolls. 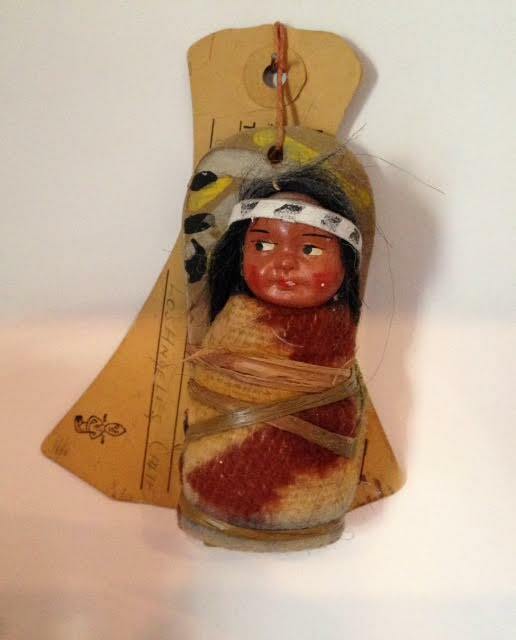 Skookum Dolls, like many collectible Native American themed items, were originally sold as souvenirs. The first patent for a Skookum was filed by Mary McAboy of Missoula, Montana in 1914. Mrs. McAboy was originally from Maine and I can’t find any information on whether she had any Native American heritage of her own, but based on my limited research, I’m sadly guessing not. Her early dolls had straw or grass bodies and dried apple heads. For more on her and her connection to Butte, Montana, check out ButteHistory.com. This is an example of a Skookum doll that is looking to the left instead of the more common right. Sadly, I don’t have any Skookums of my own, but I know Lucy would love to keep a selection in Dusty Deals. The local history is just too perfect for her to resist and the dolls are charming. The ones I’m picturing here belong to my mother and I was with her when she purchased a number of them. This Skookum doll was sent through the mail just like this. have “Skookum” stamped on the bottom of their foot or a tag with the word “Skookum” printed on it and all look either right or left. Most look to the right. Find one that looks to the left and it will be worth more. Personally, I like this Skookum that was mailed as a postcard. 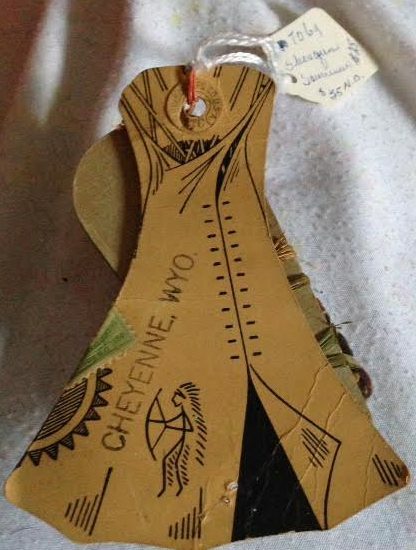 I love the teepee, doll and the personal history attached with the addressed card. “Bessie Reedsch, 6420 Tipton Way, Los Hngles Calif.” The “Hngles” is what is printed on the card. Who thinks it’s an old typo of “Angeles?” If so, the person guilty of the typo mailed the card from Wyoming. I also love the fact that there was a time something like this was actually mailed through the post without being put in a box AND it survived AND is still looking good. So far as the Skookum name, according to wikipedia, it’s Chinook Jargon, a trading language used by tribes of the Pacific Northwest. The meaning most associated with the dolls is “Bully Good.” It also is thought to mean brave, tough and impressive. Whatever the original meaning, Skookum dolls have certainly found their way into the hearts of many a collector. Do you have any of your own? Or wish you did? 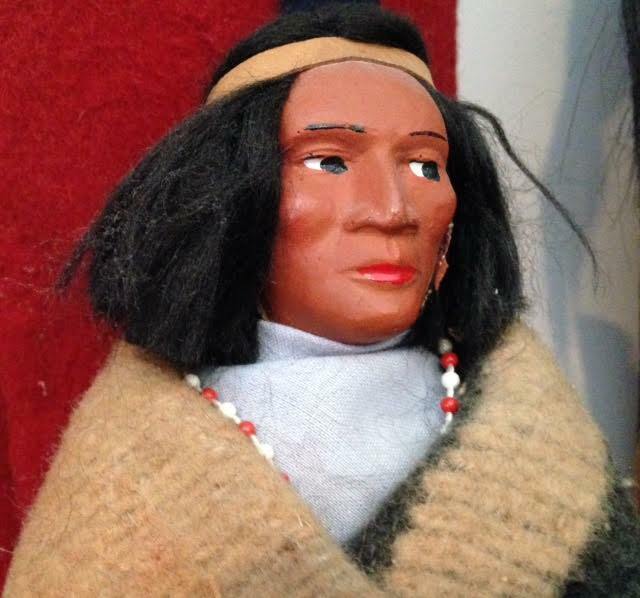 Let me know in the comments what you think of Skookum dolls and their history. To learn more about Skookum dolls, check out this book from Amazon. Sapphire Mining? Yep, in Montana. I’m working on Dusty Deals #6 right now (currently untitled). And I’ve decided to take another bit from my past for it: sapphire mining. When they arrived, we did all the Helena area things, including sapphire mining. I grew up in the Missouri Ozarks and there people go to Arkansas for diamond hunting, but I’d never been myself (to either) and really had no expectations for our upcoming sapphire mining experience. 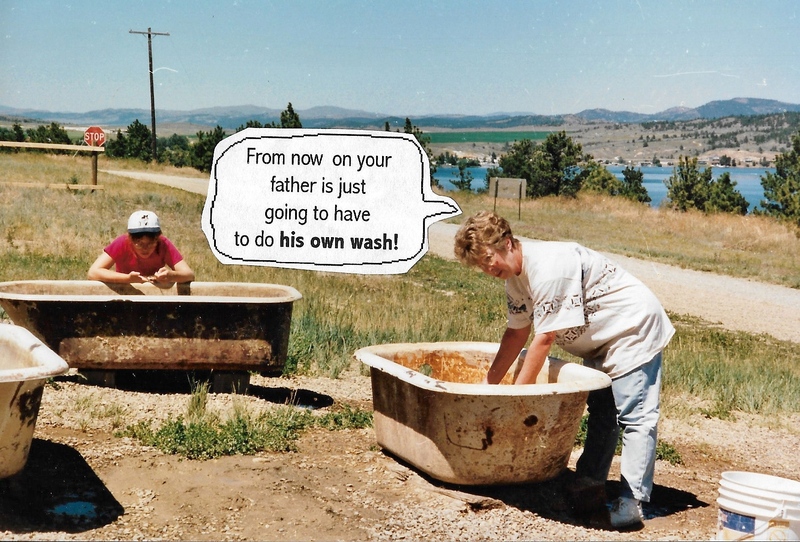 Old footed bathtubs, sitting outside waiting for your sluicing enjoyment. You got your bucket of dirt (and hopefully a few sapphires), a couple of gold panning pans and were pointed toward a bathtub. There you sluiced and sluiced until you found your gems. Honestly, I don’t remember if we found ANY sapphires. I’m guessing the girls got whatever we did find, it certainly wasn’t anything that was paying for their future college careers. I did have a little fun with the experience, putting together a flip book with speech bubbles. Interested in finding your own sapphires? Here are a few places to check out: Gem Mountain Sapphire Mine or Spokane Bar Sapphire Mine (where we went!). I grew up 30 miles from one of the biggest small town St. Patrick’s Day celebrations in the country, Rolla, Missouri. It wasn’t as uh… family friendly… as some celebrations, but it was big and green. Later we moved to Butte, Montana, with another huge city-wide St. Patrick’s Day celebration. Also, not as family friendly as some celebrations, but probably more so than Rolla, at least in the time that I went to the two. And fun. Butte is a lot of fun on St. Patrick’s Day. Starts with breakfast and goes all night long. If you are ever in the area, you really need to check it out. All of this was just to give a bit of my history with St. Patrick’s Day and really has nothing to do with my recipe. LOL. 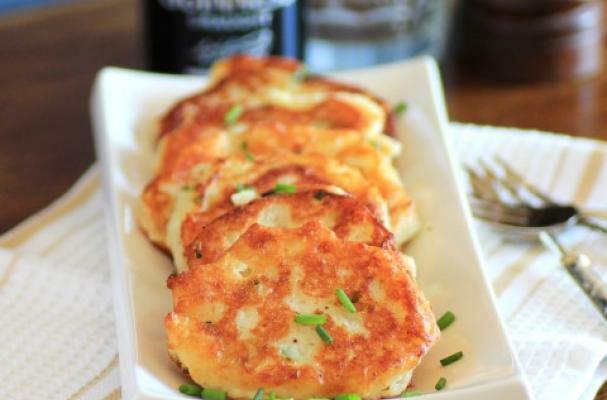 But my recipe is Irish… or Irish American… okay maybe Scot-Irish American as that is what most of my people from the Ozarks region are… but close enough and it is tasty. And it’s something I ate a lot of growing up, all year long, not just on St. Patrick’s Day. One of the best things about this recipe is that it is a next day recipe to get rid of left-over mashed potatoes. It’s also one of those next-day/left-over recipes that is as good or better than the original dish. Mix everything except the oil and milk together. Add milk to get to a consistency that isn’t too thin, thicker than your average pancake. Preheat your skillet/fry pan (preferably iron, of course) with the oil. Drop about a 1/4 cup worth’s onto the oil and fry until brown on both sides. As you know, Lucy in my Dusty Deals Mysteries series owns an antique shop – Dusty Deals. AND one of Lucy’s favorite obsessions is pottery… all kinds of pottery. I don’t know where she got that… okay, maybe I too have a bit of an addiction to pottery, or did until money and space ran short. One type of pottery that both of us love is Rockingham. If you frequent antique shops, flea markets or antique auctions, I’m sure you’ve seen it. It’s brown or speckled brown or speckled yellow and brown. The original Rockingham was English, made in around 1785 by Swinton Pottery in Yorkshire. They made brown dinner sets with gilt embellishments. It was creatively called Brown China. The brown glaze used on it though is where the name Rockingham came from. The owner of Swinton named it after a patron, the Marquis of Rockingham. The Swinton works closed in 1842, but the brown glaze and its name lived on. The glaze got its color mainly by the addition of manganese. After firing, the glaze was applied by dipping the piece, splattering the glaze on, or brushing the glaze on. Sponging was also used, but this came later. And there is a bit of disagreement in antique circles on whether dipped pieces are Rockingham or brownware. David Henderson of the Jersey City Pottery (New Jersey) gets credit for making the first Rockingham pottery in the United States. This was around 1820. 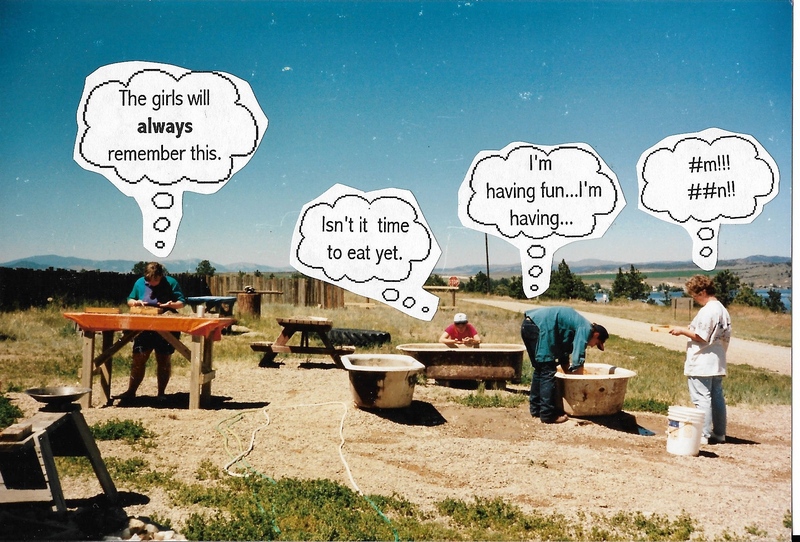 In a short 15 years, all the big players in pottery in the U.S. were making some Rockingham. This means as a collector, you can find Rockingham all over the U.S. and most likely from your favorite pottery works. There was even a pottery known for it in Missouri, although sadly not to my knowledge Wisconsin or Montana, the other two states I have called home. Here are a few of my pieces. Two spittoons, a bull that I’m guessing was sold holding something like syrup, and a figural cream pitcher. In the above picture you can see a few of my personal pieces. I have a number of spittoons. Don’t ask me why. Maybe because I can remember sitting in my great uncle’s dark living room and him spitting across the room into the one next to me. Disturbing today, but fascinating as a five-year-old. The shell-adorned spittoon on the left has a more consistent brown glaze. I have found a similar, though smaller spittoon, credited to Harker pottery in Ohio sometime before 1879. The spittoon on the right has a glaze that’s been poured over the top. It is unmarked and I don’t really have any other information on it, but it’s fairly large and has a bit of a fancy look. Maybe a bit more masculine than the shells. I’m guessing if you had to have a spittoon in your parlor, you wanted it to be as pretty as possible… and not be tippable. That is definitely something these models have over the more commonly known brass spittoons. Larger images of cream pitcher and bull. The cream pitcher is what is known as a Toby mug for Sir Toby Belch. Toby mugs were common in the U.S. after 1850. Mine is similar to a design manufactured by Bennington pottery in Bennington, Vermont, except it has a very concave bottom. (see at right) Apparently, the Bennington Tobys had flat bottoms. I have gotten most of my knowledge of Rockingham from the Collector’s Guide to Rockingham: The Enduring Ware: Identification & Values by Mary Brewer. It’s an easy to read reference that I recommend although the values are a bit out of date. It’s mainly on history of the pottery though, so I don’t see that as an issue. Do you know and love Rockingham? Have information of your own to share or more information on one of my pieces? Please post! As the month goes on, I’ll line through the ones I know have ended. 45+ Cozy Mysteries – ends March 6th. Complete set of Cat in the Stacks mysteries by Miranda James – ends March 7th. Fatality by Firelight by Lynn Cahoon – Ends March 9th. Crime and Catnip by T.C. LoTempio – Ends March 10th. Kneaded to Death by Winnie Archer – ends March 12th. Okay this is a super cute idea for a giveaway Cats vs. Dogs and you can win a Kindle… but I don’t see that they posted when the contest ends, so I’m just sticking it here in the middle. Click and see if it is still going… Note To Authors: Include an end date! Watching the Detectives by Julie Mulhern – Ends March 14th. Deadly Spirits by E. Michael Helms – ends March 15th. Magick & Mayhem by Sharon Pape – ends March 17th. Uniformly Dead by Greta Mckennan – ends March 17th. Booked for Murder by J.C. Eaton – Ends March 18th. $25 Amazon Giftcard – ends March 18th. A Fatal Twist by Tracy Weber – ends April 1st. The First Faux Pas by Katy Leen – ends April 23. Want to see ALL the mystery giveaways are Goodreads? Click here! And don’t forget, Loose Screw, book 1 in the Dusty Deals Mystery Series, FREE at all retailers! Have a March Cozy Mystery giveaway? Post it in the comments!